Looking for a hardworking, intelligent, dirt bike enthusiast at our Costa Mesa office/warehouse. Will accommodate the right candidate a 3, 4 or 5 day work week from 8:30-5pm. 1) Receive, process and package orders from customers, dealers, and races support riders. 2) Call on dealers introducing new products and to restock existing. 3) Answer telephones, take messages. 4) Build product knowledge for answering technical questions. 5) Assemble and package parts. 6) Brainstorming creative ways of increasing Ride Eng. sales and branding. 7) Occasionally represent Ride Eng. at dealer open house or trackside events. High school diploma required; some completed college coursework preferred. 1 year sales and customer service experience. Reside in or near Costa Mesa, California. Basic computer skills like Microsoft Outlook, Excel and a database program like QuickBooks. Motocross interest (follow Supercross, Motocross, Arenacross, GNCC and Desert Racing) and off-road (track or trail) riding experience. Good communication skills with proficiency in explaining how Ride Eng. products effect motorcycle performance. Base pay is $13/hr plus commissions on inbound and outbound sales resulting in additional $1-$10/hr depending on order processing proficiency, product knowledge and proficiency contacting our customer base. For immediate consideration send your resume to info@ride-engineering.com with a cover letter explaining why you would be ideal for this job. 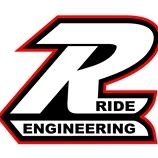 Based in Costa Mesa, California, Ride Engineering manufactures bolt-on accessory products that improve the handling and braking performance for motocross and off-road dirt bikes since 2002. We are a small company where few employees handle many duties. Are you up for the task?